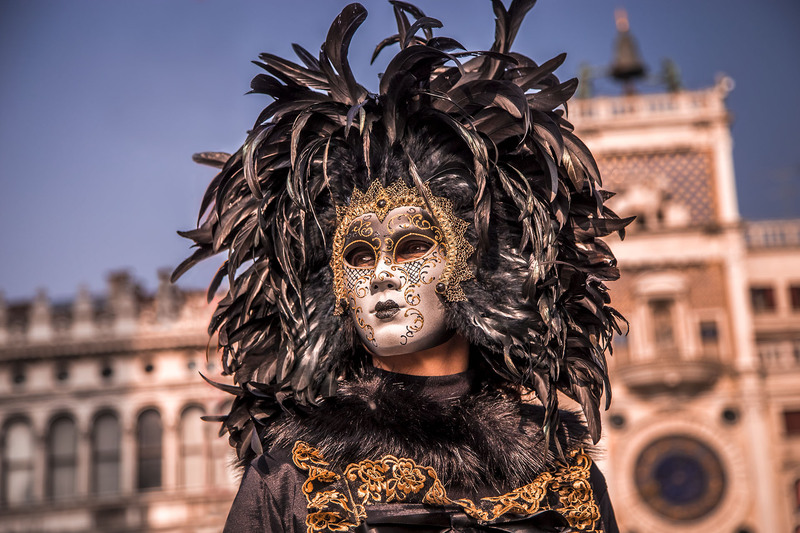 Its origins are very old: the first evidence dates back to a document of Doge Vitale Falier of 1094, which speaks of public entertainment and in which the word Carnival was mentioned for the first time. The establishment of the Carnival by the Venetian oligarchy is generally attributed to the need of the Serenissima, like what has already happened in ancient Rome (see bread and circuses), to grant to the population, and especially to the lower classes, a short period devoted entirely to the fun and festivities, during which the Venetians and foreigners poured all over the city to party with music and wild dancing. Through the anonymity guaranteed by masks and costumes, was obtained a sort of leveling of all social divisions and was even authorized the public ridicule of the authorities and aristocracy. Evidently these concessions were widely tolerated and considered a providential outburst to the tensions and discontent that inevitably created within the Republic of Venice, which placed strict limits on issues such as morality and public order of its citizens. In addition to the carnival of Venice, there are also photos of the most important of the Venetian Carnival such as Vila Pisani at Stra.